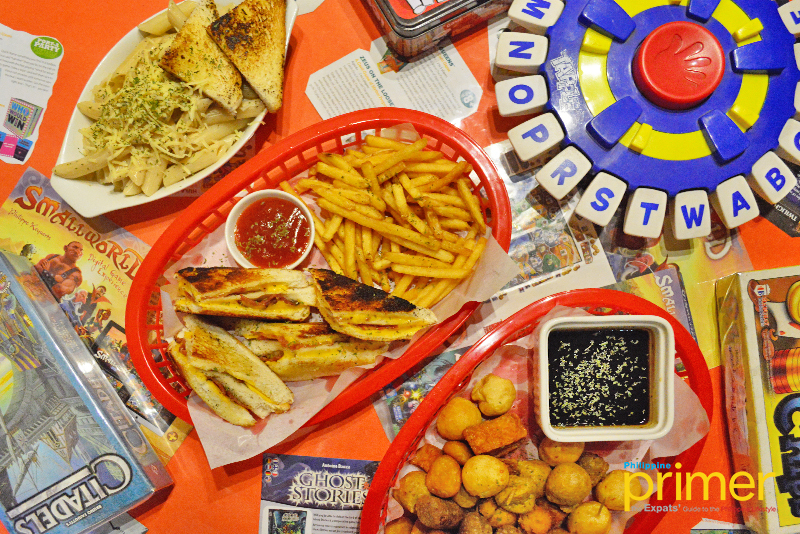 You may have heard of Snacks and Ladders all the way from Maginhawa St. in Quezon City—all thanks to their premium board games and mouthwatering eats. 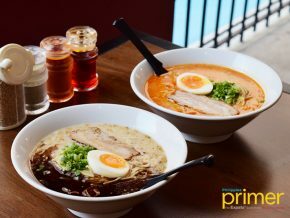 Going farther South, this sought-after board game cafe found its way and gave birth to its baby, Shakes and Ladders, located in BF Homes, Paranaque City. 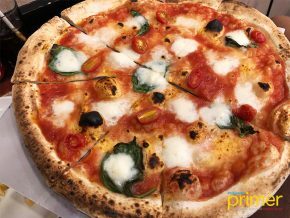 Those who loved the Maginhawa branch so much will also love the new one because there will also be fun-filled activities that anyone of all ages would enjoy. 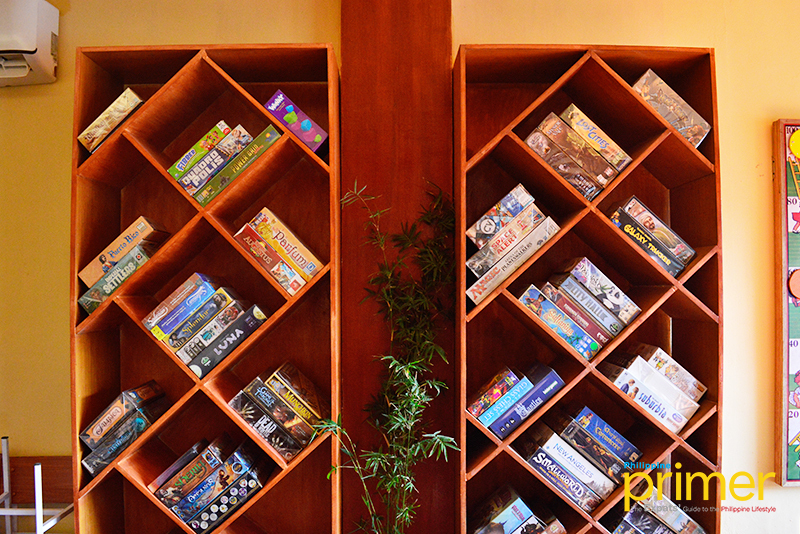 Currently, they have over 100 board games available in Shakes and Ladders. 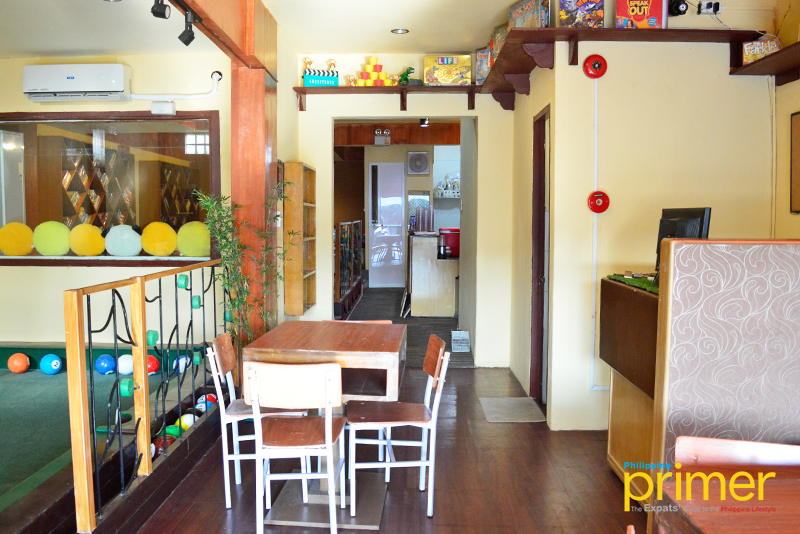 “We’re the only boardgame cafe with other amenities. 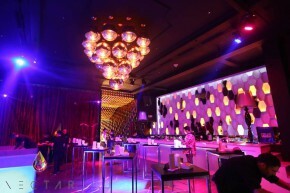 We make sure that we’re very interactive and engaging,” Louie, the owner of S&L, said. 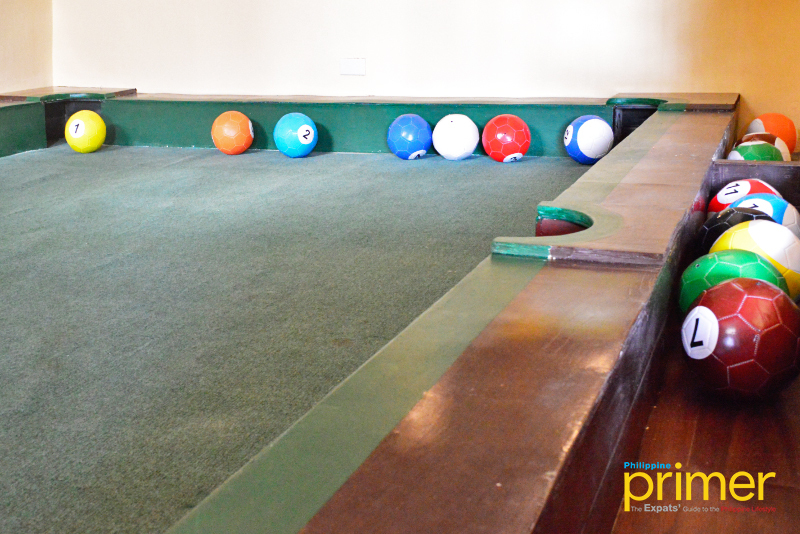 That stays true to the new branch, with added Snookball and Karaoke Room. 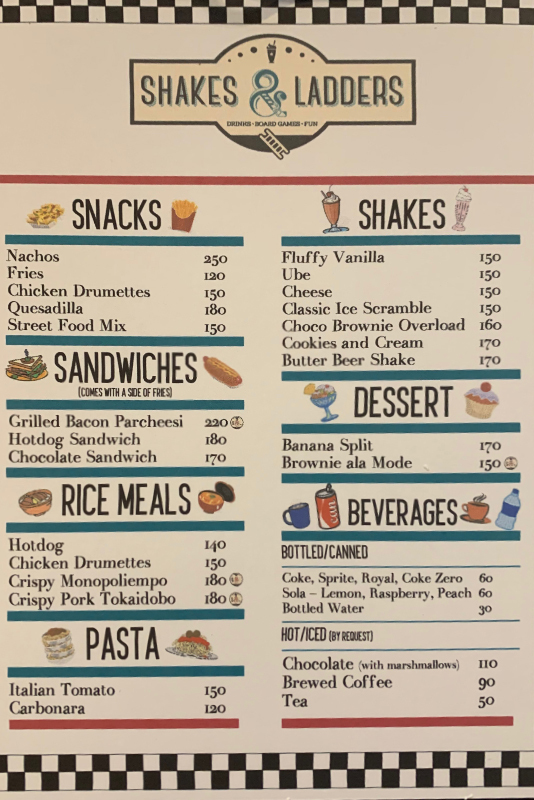 Unlike in Maginhawa wherein they focus on meals, Shakes and Ladders will focus more on snacks that are ultimately known as comfort food for Filipinos. Chef Marge, Louie’s high school best friend, was the one who created the menu for both branches. Once you order a variety of their snacks, you’ll notice that they’re “coherent” in some way. “We plan everything according to what we have. 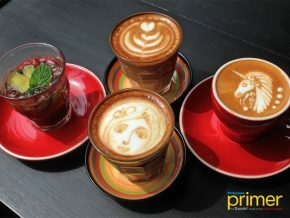 We make sure to maximize our ingredients that are mostly sourced locally,” she explained. 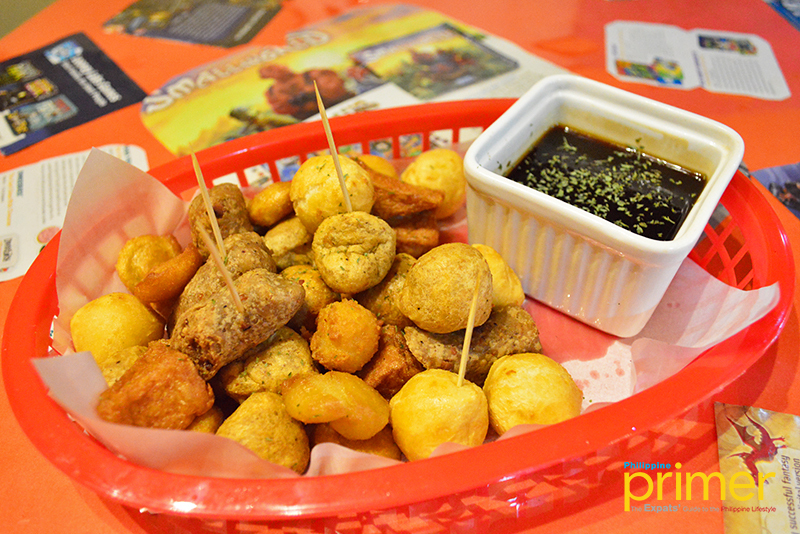 One perfect example is the Street Food Platter (Php 150), which is comprised of popular Filipino street food such as fishball, squid balls, chicken balls, fish tofu, and kikiam. It’s also served with a homemade fishball sauce sprinkled with parsley, so it has that unique finish. 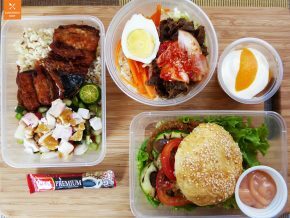 The Grilled Bacon Parcheesi (Php 220), on the other hand, makes a very hearty meal (with the caramelized crust as a bonus). 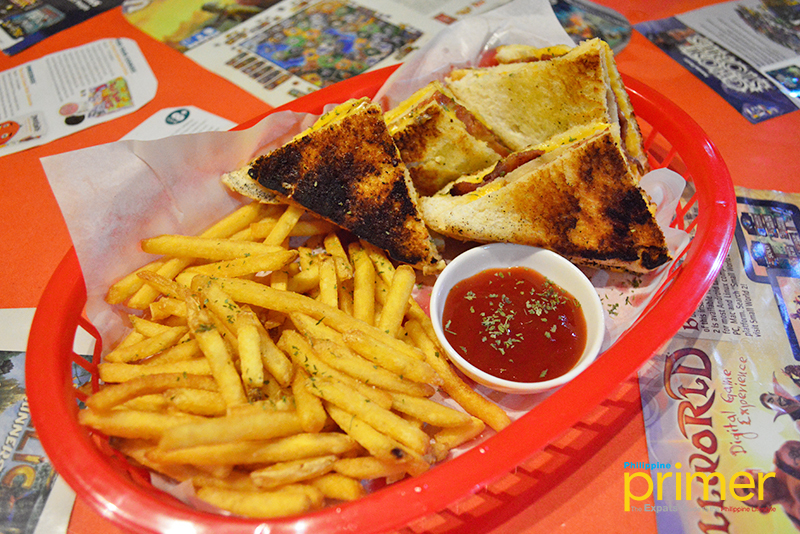 It also comes with thin and crispy shoestring fries that are very addicting! 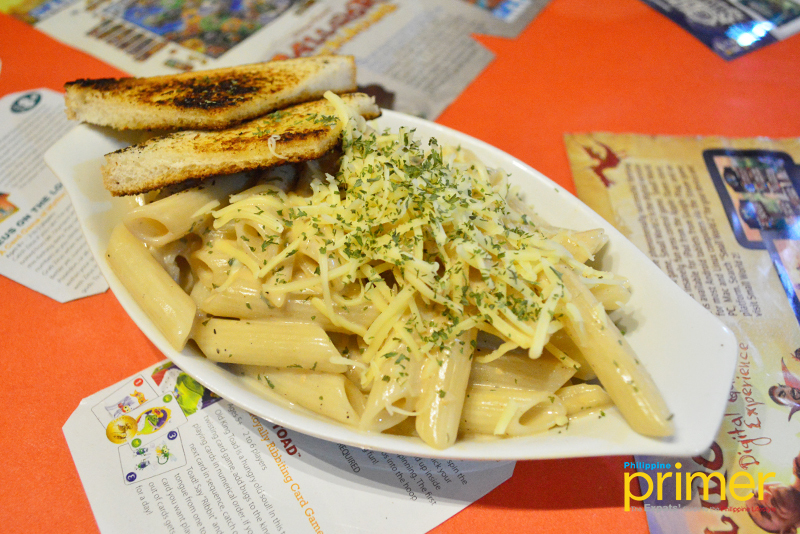 For pasta lovers, you may try their Carbonara (Php 120). It’s the right balance of creamy and cheesy—better munch on it while it’s hot! 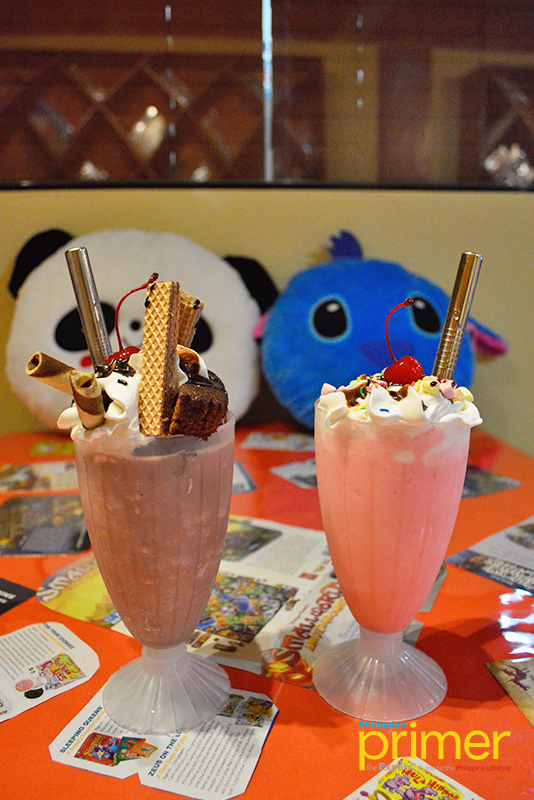 Now for the highlight of this branch, their shakes, the Choco Brownie Overload (Php 160) will satisfy your sweet tooth. 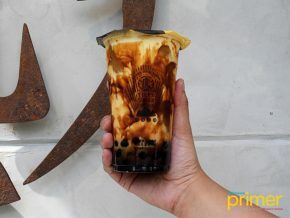 It’s topped with Filipino snacks like wafers, Stick-o, Fudgee bar, finished with chocolate syrup, whipped cream, and cherry. Kids (and kids at heart) will definitely enjoy it! 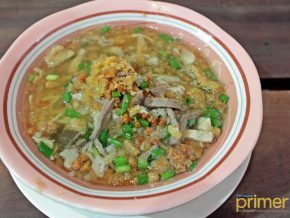 If you grew up in the Philippines, you’d probably remember the classic scramble that you can buy on the streets after school. Shakes and Ladders has its own take on this—the Strawberry Ice Scramble (Php 150), topped with whipped cream, mallows, sprinkles, chocolate syrup, and cherry. One sip can make you remember your childhood, trust us. Shakes and Ladders will surely be a favorite spot in the South, especially for friends and families who are in for some quality time. 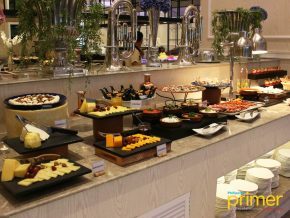 Their amenities alone are enough to convince you, bonus the delish food offerings! So watch out as it opens this coming Easter Sunday, April 21, 2019. By car: From SM City BF Paranaque, head south on President‘s Ave toward Elizalde Ave, then turn right. Go straight, then turn right onto Aguirre Ave. Head north until you reach El Grande Ave, and destination will be on your right. Shakes and Ladders is located at 388 El Grande. Mondays to Fridays 2 p.m. to 12 m.n / Saturdays 12 n.n. to 1 a.m. / Sundays 12 n.n. to 11 p.m.